Close My Pool For Winter Or Leave It Open? If you’re unsure and at a loss at what to do with your pool this year, don’t worry. We are breaking down the pros and cons to keeping your pool open during the winter. Winterizing your swimming pool is a personal decision. Your physical location may also play a role in your decision. However, there are some things you should take into consideration before you make the decision to keep your pool open for the winter. One of the main reasons a pool owner might close their pool is to protect their equipment and avoid any damage caused by freezing temperatures. So, how do you prevent your lines from freezing during the winter? It’s simple, keep your pump on. Running your pool pump keeps a constant flow of water and prevents your lines from freezing and pipes from bursting. As an extra precaution, we also recommend purchasing a pool timer with freeze protection. Freeze protection protects your pool/spa equipment and plumbing against freeze damage. The timer turns your pump and heater ON when the outdoor temperature drops below the set temperature. This is an excellent feature to have especially in areas of the US that are prone to freezing temperatures. You never want to wake up in the morning to frozen lines and a busted pump. Another responsibility for pool owners who keep their pools open is maintaining their pool. If you decide to keep your pool open, you have to maintain your pool throughout the winter. This includes balancing your water, cleaning your filter, and maintaining your pool equipment. Most pool owners might assume that this also means a lot more money for chemicals. However, this isn’t necessarily true. In most cases, pool owners use fewer chemicals during the winter than spring and summer. The cooler temperatures preserve the chemicals in your water. That means you are losing less chlorine and water through evaporation. As a result, you might consider reducing your pump’s runtime because the demand for chlorine is not as high. I’ll be honest, though, you might clean a little more during the fall season. 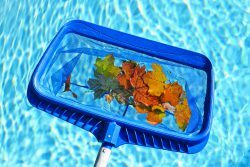 Usually, for about three weeks or so, pool owners can expect to clean leaves and debris from the inside of their pools. It is called fall for a reason, right? For some, this may be the only reason they need to close their pool for winter. 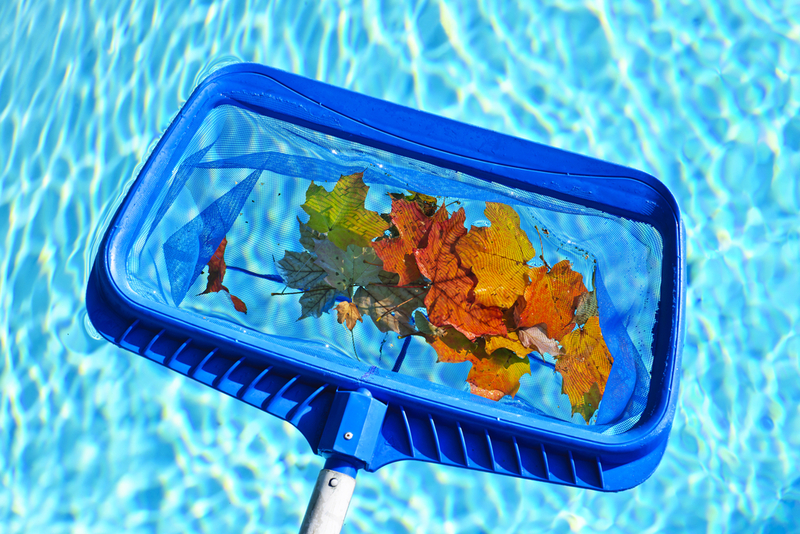 Depending on your location, the number of leaves that end up in your pool can produce a lot of unwanted labor. I’m from Florida, so we are very familiar with power outages and the costs it can have on your families, houses, and pools. In the case of power outages, you always want to be prepared. Immediately loosen all of the drain plugs on your pump, heater, and filter drain plugs. There are other things you should consider before keeping your pool open. First, if you are using a salt system on your pool, pay close attention to the temperature threshold. The majority of salt systems stop working once the temperature drops below a certain degree. (This is also true for heat pumps) Still, pool owners shouldn’t fret. As mentioned earlier, the colder temperatures make sanitation less of a problem. That means your pool should be fine without operating your salt system for a few months. Make sure you test your pool water and maintain the proper chemical levels on a regular basis. Pool owners also worry about the cost to keep their pool open for winter. Yes, you will purchase more chemicals and use more electricity during these months, however, keeping your pool open also forfeits you from purchasing a safety or winter cover. Depending on the quality, grade, and type of cover you purchase, it can easily outweigh the cost of chemicals. In most cases, it can be an even wash. Pool owners who keep their pools open also spend less money on chemicals once spring comes. On top of that, they are usually the first ones enjoying their pools in spring, as well. Pool owners who close their pools for winter tend to have bouts with algal growth. If you’ve ever experienced algae in the beginning of spring, you understand the amount of time and money spent balancing your pool. If you’re looking forward to your freedom away from pool duties or simply want less responsibility for a few months, then closing your pool is probably the best option for you. Sure, it’s great to look (and listen) to your pool all year long, but it definitely comes with a price. Pool owners should follow our blog and read the how-to guide on winterizing their pool. We provide tips and insights for winterizing inground and aboveground pools. How is granular cloriene better to use than the tablets? If I use granualr how do I adnminster it? On the tabs thats easy I put 3 or 4 tabs in a floater and let it float and check it once in awhile to see if I should add some more tabs! I’ve generally used granular chlorine only as a quick fix for introducing chlorine into your pool. Granules dissolve quickly into solution and are usually dissolved in a bucket of water before being poured into the pool. Tablets are meant more as a gradual and more sustained treatment. It depends on your application to determine which chlorine would be best for you. people always talk about all this stuff but whats the solution to this. is there any way to minimize use of chlorine in pools I always feel kind of worried.My friends work in pool industry and he often share lots of stuff that they use flow meters to maintain flow rate of water and stuff about usage of chlorine. Is there anyone who knows about icon process controls?? Need to ask on thing. if you post the question, we might be able to answer it for you. Or, at least point you in a direction to find the answer from somewhere else. I am having an in-ground salt water pool installed and I am not planning on closing the pool annually. 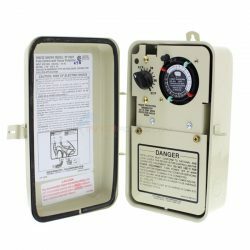 With that said, I have researched the to-do and not to-do, but still have a question about the actual salt water system- if the saltwater system does not work(due to cold temps), and i test the water and the pH is off, what chemicals should i be adding, generally? For those with(or know a good deal) salt water pools, is it more common that not to actually have the “saltwater system” off the entire winter months and not have pH balance issue? For the pH, then you had pH increaser or decreaser as necessary. The pH has nothing to do with the salt water generator running. Regarding the running of the SWG, in part it depends where you are. As in, how cold does it get where you are? If it stays consistently below 50 degrees, you do not have to do much because algae can’t grow in cold weather. If you are in Ohio, you might as well bring your equipment for the winter to save wear and tear. If you are in Florida or Texas leaving it out there so you can turn it on when the weather reaches operable temperature couldn’t be that bad. Thanks for the reply! I live in Nashville and our cold months are from about December – February. We do get gold snaps, however, they don’t typically last very long. I would say the average during these months is apx 30-40 degrees and more sunny than not. My concern about the SWG is when temperatures reach a certain low and the generator does not kick on. I guess I am unsure on how long, typically, can a SWG not run before water imbalances begin to take place? If i am understanding your note above, my SWG has no role in maintaining any of the proper water balancing, or just the pH part? My idea, considering we don’t get to terribly cold for any extended period, is to add a device to the pump to ensure the pump kicks on when temps fall below freezing to help combat frozen lines of any sort. I will also run the automatic pool cleaner as needed- at a minimum of twice a week to maintain cleanliness. Lastly, monitor water levels(pH etc) weekly? or at what cadence? 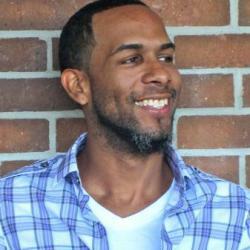 Is there any other “must do’s” that you would like to call out? We live in a community development where the pool is not heated so in the 5 months when the temperature is down it cant be useful. Can you offer a solution to the Company to heat it. Unfortunately, people that have there own pools don’t care about the majority. Disappointed we moved here too many issues. If you are interested in adding a heater to the pool, I suggest you give the following a read: How to Select an Inground Pool Heater and Sizing Your Pool Heater. 1. Is it advisable to stop balancing and sanitizing the pool during Texas winter season? 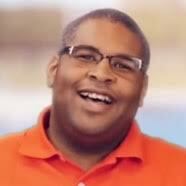 2.Would it be advisable to dismiss the pool cleaning guy? 3. What will be the bad consequences to the pool by not adding chemicals? Where should I leave my water level at in my salt waster I ground pool? Below the strainer? Also do I need to remove the salt cell during winter? It depends; how much rain or snow do you get while your pool is closed? That would determine how much you need to drain it. If you experience harsh weather in the winter, yes bring it in. Great info! New pool owner here – we did not close the pool since we are in TX. Saltwater generator is not currently running since water temp is in the mid 50’s. Our chlorine level is low – would it be best to add liquid chlorine at this point to get it back up or just wait until the water warms up enough for the chlorinator to kick back on? I have tried adding chlorine tabs but they aren’t dissolving quickly enough to raise the chlorine level. (we have also had a ton of rain here with has in turned lowered our chlorine levels as well.